And now that we know that the road we are on is made of, we need to know where it is heading. 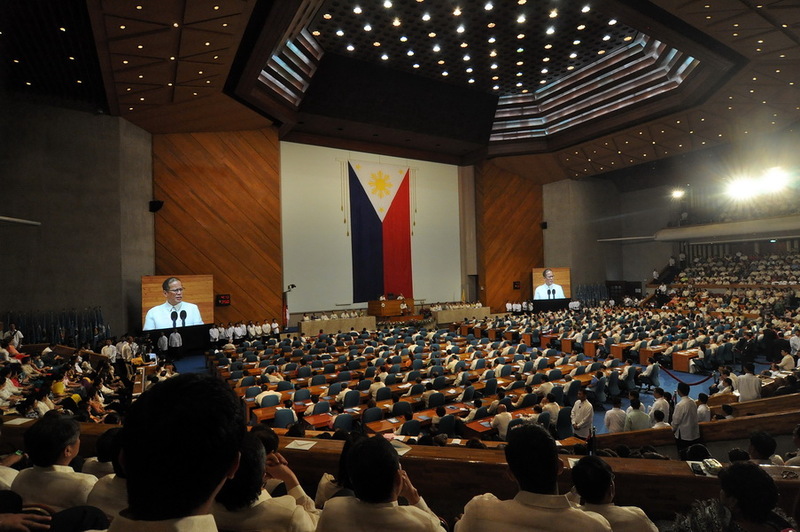 The President sent a very clear message in his SONA last Monday. His administration has ZERO tolerance for “utak wangwang,” referring to government officials and private citizens who have been abusive in the past. LOUD and CLEAR. It’s a good message. It’s a far cry from the past administration’s statements and actions. My understanding is that the new administration used the past year to clean house, in fact in their own words, to do “housekeeping” – to clean up the mess left behind and then to relaunch our country under new management, Like a coach that decides to focus on building a strong team to go for gold the next year, or a manufacturer that chooses to take the time to invest in R&D (Research and Development) to build the next model that will blow away the competition. That is good for us to know, and good for us to remember. And now that we know that the road we are on is sturdy, made of reliable and honest materials, in other words “matuwid na daan,” we need to know where it is heading. Where to now? Where do we go? How do we catch up with our Asian neighbors who have long left us behind? How do we deal with the poverty that millions of people live with from sunrise to sunset? In 2001-2005, the Philippines garnered the lowest average annual growth rate of GDP per capita with 5.1%, compared to other original ASEAN member nations such as Indonesia (11.0%), Thailand (6.8%), Malaysia (6.5%), and Singapore (6.1%). Average unemployment rate of the Philippines is 2nd highest among the ASEAN countries. In 2006, a Filipino teacher in an elementary school had more students than a teacher in any other ASEAN country, except Cambodia. In Southeast Asia, we have one of the highest maternal mortality rates based on data from NSO and WHO. Our rate is 162, compared 110 in Thailand, 62 in Malaysia and 14 in Singapore. But throughout the one-hour speech, we never quite got to the launch. Sure, I heard about the applicants for oil exploration, the reduced importation of rice, less number of families hungry, increased beneficiaries of PhilHealth. But where exactly is the captain of this ship taking us? What is the dream? What is the goal? You can’t just say, we are heading North or we are on the “right path” or for that matter, the “yellow brick road.” We need a destination. Is it our goal to be the new techno hub in the world? How? By having our college graduates work as call center agents? Or are we taking it to the next level and training more students in science and math? Is there an effort to move students from nursing courses to teaching courses? Are we ready to pay our teachers more? Perhaps give them free housing too like the soldiers? Are we going to eradicate illiteracy? Are we moving forward with green energy? To build a disaster-safe country? How do we challenge our people to shift to more sustainable kinds of livelihood so as to preserve our environment? How much does the President want to spend on health care? How do we compensate our health workers better so they choose to work in the barrios? What about mother’s who are dying at childbirth? Unwanted births that result in abortion? The spread of HIV and other sexually transmitted infections? All over the world, HIV is decreasing. But, we are one of seven countries, including Kazhakstan and Bangladesh where HIV rate is increasing. We seek to address this in our Reproductive Health bill. It would have been nice if the President acknowledged its importance. I know the President said, the details are in the budget, and I will look at it as soon as I get my copy. But still, I was waiting for my marching orders. I personally believe that the SONA was the opportune time for the President to inspire the Filipinos, to call on each one to specific action – to ask businessmen to invest in certain key sectors that will spur our economy; to rally the people behind infrastructure and transportation projects that may cause some inconveniences now but will take us into the millennium where our Asian neighbors are already in; to direct the youth’s path and encourage them to take up courses that will secure their future. Those are just my ideas, but whatever direction and priority the President would have wanted to take, that I believe should have been made known at the SONA. But it is not too late, the President can still reveal the direction he wants his “matuwid na daan’ to take us. Wherever it may lead, we will be waiting to find out. As a legislator, I will give him my full support to provide better social services and to work hand in hand to uplift the lives of each and every Filipino. Source of Statistics: A paper entitled “Disturbing Statistics: The Philippines Compared to Our ASEAN Neighbors” by Romulo A. Virola, Candido J. Astrologo, Jr. and Patricia Anne L. Rivera presented during 11th National Convention on Statistics (NCS) at EDSA Shangri-La Hotel last October 4-5, 2010 provides a comprehensive look on how our country fares vis-à-vis other ASEAN countries.